Tata Chemicals Europe is proud to unveil their new streamlined website, tailored efficiently towards the needs of customers, suppliers, and members of the public. 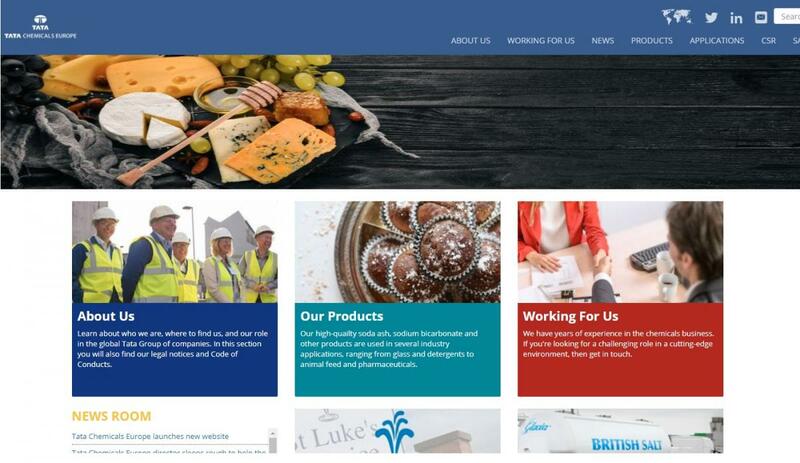 The new website, powered by web development company Enovation, contains a wealth of information for anyone with an interest in our products or their applications. Customers and potenital customers can find everything they need to make an informed decision about our products, while also being able to see the accreditations and certifications that give assurance our products are of the highest quality. The website is also a great place to read about our CSR programme, our involvement in the community, and our ethical business statements. For more information about our website, our products, or TCE in general, please contact Communications Manager Richard Redman on rredman@tatachemicals.com.